A news station in Tennessee put the Norwex Enviro Cloth to the test against a regular microfiber cloth, as well as a traditional cleaner. The Norwex Enviro Cloth was rated a "Wise Buy" by the test, showing that it removed 92% of the e-coli bacteria (while the traditional cleaner removed NONE of the e-coli and the regular microfiber removed 84% of the e-coli bacteria). That's pretty impressive! Thanks to WMC-TV for the story! Read the full piece here, and watch the accompanying video! 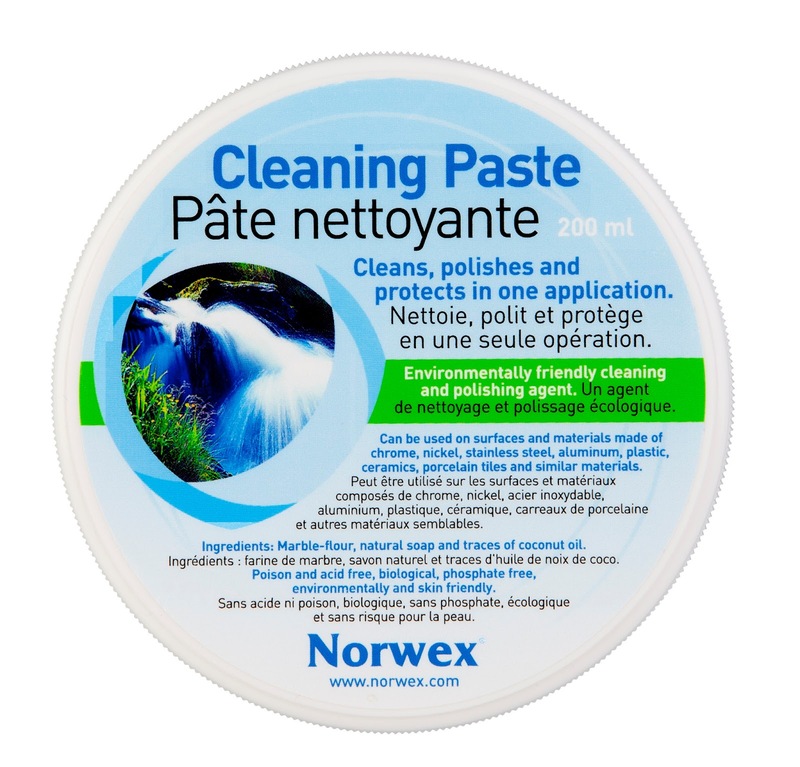 If you've ever wondered just how versatile the Norwex Enviro Cloth is, check out all these amazing ways you can use it to clean your home - with just water! Throughout history, people have taken advantage of the antimicrobial properties of silver. The Greeks and Romans stored water in silver as it was believed this kept the liquids fresh. During the plagues in Europe, wealthy families ate from silver plates and utensils, in the hope that silver might protect them from the disease that was claiming their neighbours’ lives. The expression ‘born with a silver spoon in the mouth’ had a dual meaning. Not only did it refer to wealth, it also referred to health. People were eating off silver spoons because they knew that an infection couldn’t survive on silver. Without knowing it people were taking advantage of the natural ANTIMICROBIAL properties of silver. Today many products are produced using silver to give antibacterial properties to that surface. Silver antibacterial socks, silver soap, silver-lined curtains in hospitals, silver-lined bandages for treating burns, silver-lined bandaids, silver toothbrushes, etc. Silver interrupts a cell’s ability to form chemical bonds essential to its survival. Bacteria, viruses and fungi need the bonds for their oxygen metabolism. The Antibacterial agent is physically embedded inside tiny microfibers. The silver-based agent that Norwex uses is based on micro, not nano-technology. Suede Microfiber is very compact, wet or dry, and super absorbent. It also dries quickly! This towel will dry and clean at the same time. It effectively removes water from all surfaces even when damp. Use for drying dishes, or for dusting highly-polished surfaces without streaks. Use with water only. To polish surface use the dry Envirotowel and keep unfolding to a new side to ensure that you are drying the surface efficiently. Use moist for removing light tarnish, then polish with a dry area of the towel. A certified organic serum developed to combat the appearance of time. The serum is enriched with a high concentration of natural ingredients from marine origin to transform eyes to appear more youthful. The unique serum lifts the look of skin around the eyes and reduces the look of puffiness and dark circles. Tired eyes appear brightened and revived. In addition, the serum contains a high concentration of certified organic additives; Aloe Vera, Olive and jojoba oils for a smoothing feel and firming appearance. Aloe Barbadensis Leaf Juice*, Glycerin, Aqua, Parfum, Hydrolized Rhizobian Gum, Acacia Senegal Gum, Propanediol, Crambe Maritima Extract, Caprylic/Capric Triglyceride, Alaria Esculenta Extract, Medicago Sativa(Alfalfa) Extract*, Sodium Hyaluronate, Squalane, Simmondsia Chinensis(Jojoba) Seed Oil*, Olea Europaea(Olive) Fruit Oil*, Tocopheryl Acetate, Xanthan Gum, Glycerin Caprylate, Glyceryl Stearate SE, Cetearyl Wheat Straw Glycosides, Cetearyl Alcohol, Dehydroacetic Acid, Benzyl Alcohol, Citric Acid, Benzoic Acid, Citronellol, Linalool. 99.20 % of the total ingredients are from natural origin. 82.99 % of the total ingredients are from Organic Farming. Noteworthy ingredients are the hydrolyzed rhizobian gum, Acacia senegal gum, Alaria esculenta extract, and the Crambe maritima extract. Other highly active ingredients include alfalfa (Medicago sativa), aloe, squalane, cetearyl wheat straw glycosides, shea butter, sodium hyaluronate, jojoba oil, olive oil, and vitamin E.
Use dry for dusting, it creates static electricity which removes dust and dirt, preventing them from resettling back onto surfaces and holds them inside the cloth. Use damp for general cleaning and heavily soiled areas. It cleans everything using only water. The cleaned surfaces become so clean that new dirt and dust will not return as quickly. Our Enviro Cloths are also available in a handy travel pack, perfect for taking anywhere! A great way to share our products with a friend, keep in the car, use in restaurants to wipe down a table, or to pull stains out of vehicle fabric. What makes our microfiber superior is the fact that each Enviro Cloth contains over 2.9 million meters of fiber. 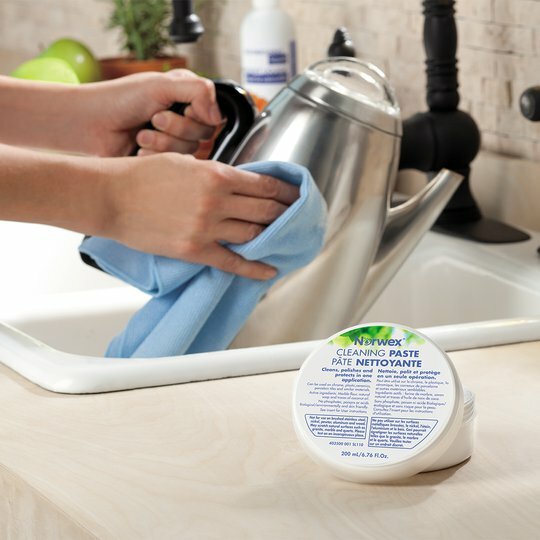 The antibacterial Microfiber cloth removes dust, dirt and grease from all washable surfaces using water without chemicals. Step 1: Moisten the cloth under running water, wring out, and fold the wet cloth as many times as you can and wring out all excess water. This is very important in order to achieve streak-free surfaces. Step 2: Wipe the surface. Step 3: Flip over and continue to do this until all surfaces are used. Rinse the cloth in warm water when necessary and continue cleaning. 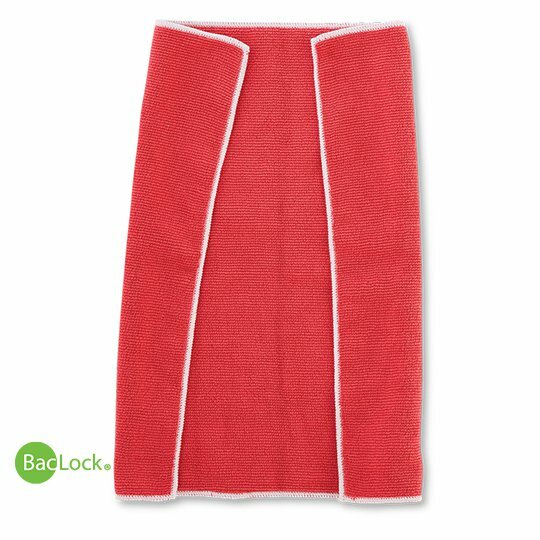 Superior-quality microfiber combines with our unique BacLock®* antibacterial agent to create a multipurpose cloth that can be used wet or dry to clean everything. 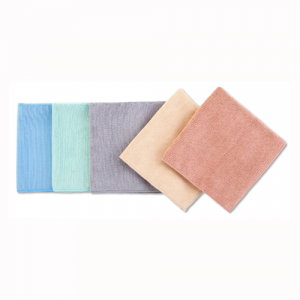 The superversatile EnviroCloth is the perfect replacement to chemical-laden, all-purpose cleaners, and eliminates the need for wasteful paper towels, so it’s also more sustainable for the environment! Highly effective and easy to care for; between launderings, simply rinse, wring out and hang to dry. Available in five colors, allowing you to color-code for different purposes or rooms. • Used damp for general cleaning and heavily soiled areas, it picks up everything using water. Cleaned surfaces become so clean that new dirt and dust do not return as quickly. • The BacLock* in the cloth—our exclusive micro silver antibacterial agent—goes to work to self-purify and inhibit odors from bacteria, mold and mildew growth within the cloth within 24 hours so that it is ready to use again. • Cleans any surface that would normally be cleaned with soap and water or chemical cleaners, including bathrooms (taps, sinks, tubs, counters, toilets and more), walls, windows, doors, vehicles, toys, tools, kitchen appliances and surfaces, outdoor furniture and much more. •At 1/200th the size of a human hair, Norwex Microfiber is one of the most innovative products in the cleaning industry today. • Rose quartz and champagne EnviroCloths are made from 70% recycled materials! 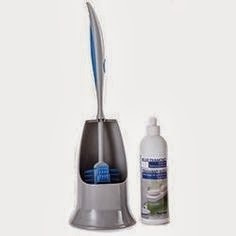 • When using on easily scratched surfaces such as brushed stainless steel, rst test Norwex Micro ber on an inconspicuous spot. The beauty of glass is that it allows light to travel through it easily. Traditional cleaners will reside on the glass and restrict light from passing through. While it is important to have a cloth that will remove greasy marks it is also important to make sure that nothing is left behind that causes streaks or smears. A smear is a contaminant (something not meant to be on the surface) that has been spread in an effort to remove and clean the surface that now causes distortion of light. It is invisible in low light situations like internal glass or mirrors; however, in high light situations the distortion of light is noticeable and reveals where you have attempted to clean. To clean glass: To remove fingerprints simply spray with water and wipe with the window cloth. To clean stainless steel: Use slightly moist (very little water) and wipe the stainless steel in the same direction as the grain. For heavily-soiled fridges, first clean with a moist Enviro Cloth, then finish with the Window Cloth in the same direction as the grain. the counters with the Window Cloth unfolding to a new side to ensure you are always finishing with a dry, clean area of microfiber. Step 2: Fold the cloth to give you sixteen sides and start wiping. Step 4: For heavily-soiled glass or counters, clean first with the Enviro Cloth and water, then finish with a dry Window Cloth. Getting all the surfaces in your home as clean as possible, as quickly as possible, can be challenging. In addition, many of today’s popular cleaners contain harsh chemicals that can make your family sick. And using paper towels to clean adds to the problem of overloaded land lls and deforestation. 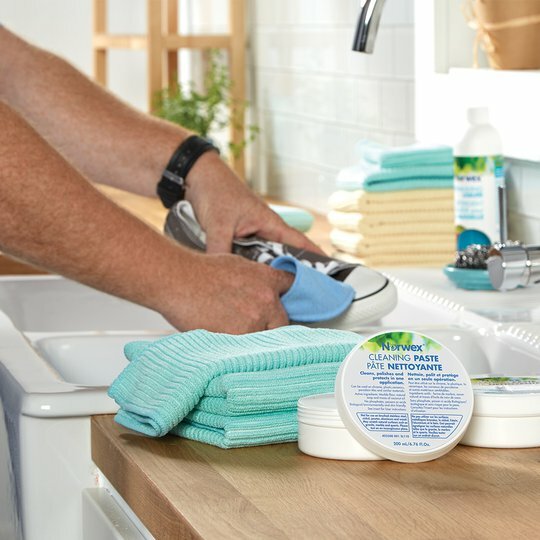 Clean more safely, quickly and thoroughly using super- absorbent Norwex EnviroCloths. You’ll save time, money and the environment using only water—reducing land ll waste, eliminating chemicals in waterways and protecting your family’s health as you cut down on dust and reduce chemicals in your home. • The average household spends $600 – $800 a year on cleaning products and supplies. 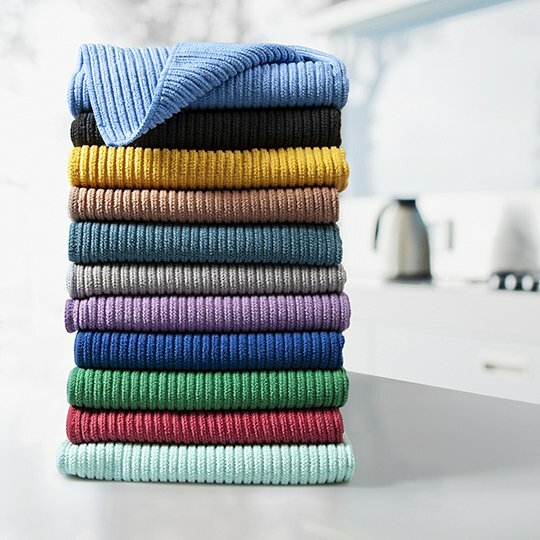 Norwex Microfiber can help signi cantly reduce the use of cleaning products and supplies. • 3,000 tons of paper towel waste are created every single day—that accounts for 51,000 trees and 60 million gallons of water, per day! • Most paper towels are bleached. Drying your hands with them can leave your skin rough and cracked. When surfaces are left moist and wet after cleaning, only the water component of your cleaning solution evaporates leaving brokendown dirt, grime and chemicals to dry on the surface. The definition of CLEAN is to remove all forms of contaminants from a surface leaving it in as original condition as possible. This means that in order to leave surfaces CLEAN we cannot leave residuals behind on them. Residuals determine the frequency of needed cleaning. The fewer residuals left behind on a surface the better, as residuals determine how often that surface should be cleaned. True cleanliness does not smell. It will take most people quite a while to accept this, as their sense of smell may make them think that they have not cleaned with strong enough chemicals. If they had used only microfiber and water, there is no smell. The traditional method of cleaning with chemicals and cotton cloths results in breaking down dirt and grime and spreading it over the entire surface. This may provide a visual appearance of clean. However it can actually cause your surface to be hygienically more contaminated at a microscopic microbial level. What are the effects of chemicals and disinfectants? They can harm our bodies and affect the environment. After use, most cleaning chemicals end up making the journey from our homes down the sink, toilet and drains into our environment via the sewer or waterways. Chemicals can have harmful effects on our environment including other living things. If many of these chemicals are not good for our environment should they really be used in our homes or around our bodies? 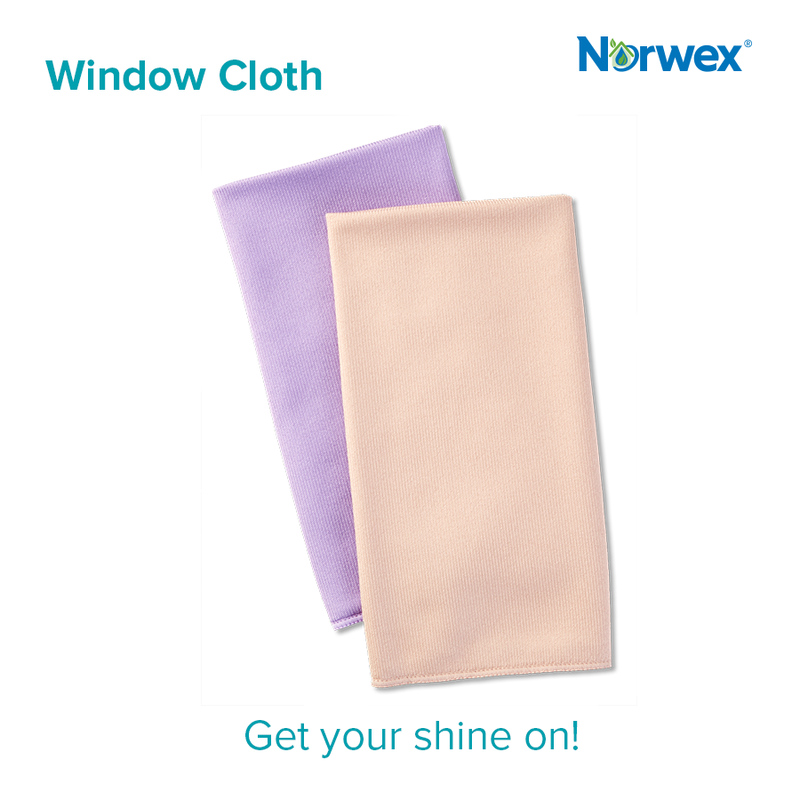 With the Norwex chemical-free antibacterial microfiber system you don’t breathe, touch or ingest chemicals. Dirt, dust and grease are removed instead of spread around your home, creating a cleaner indoor climate, and reducing allergens. Today, preserving the environment for our children and future generations is extremely important. 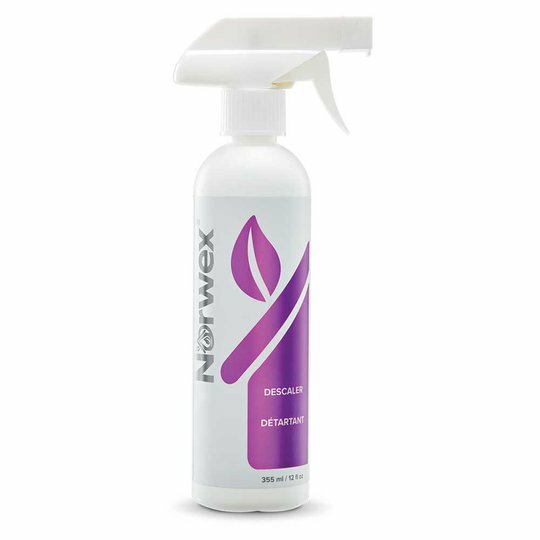 With Norwex you have the opportunity to use fewer chemicals, reduce your environmental footprint and look after your family’s health while at the same time preserving the environment for future generations. PROBLEM: After repeated use, nylon toilet brushes can accumulate bacteria in the holes that hold the bristles. These bacteria can potentially spread to other items in the bathroom. Bristle tips will begin to fray and soften over time, which takes away the ability to effectively sanitize the bowl and remove bacteria. Metal brushes can rust and scratch, and it’s sometimes difficult to clean well under the rim with them. 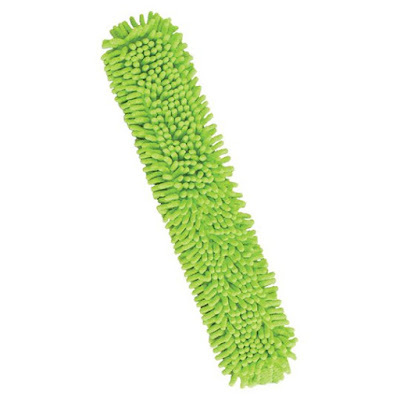 SOLUTION: The Norwex Ergonomic Toilet Brush rinses completely clean with only water. The rubber bristles will not scratch or rust over time, which means a cleaner, longer-lasting brush. And the special rim extension is designed to clean the hard-to-reach area under the rim, quickly and easily. Constructed of durable ThermoPlastic Rubber (TPR), the Ergonomic Toilet Brush thoroughly cleans the toilet bowl without scratching the surface. The cylindrical-shaped head reaches into the trap, while the extension is specially designed for thorough cleaning under the rim. The plastic handle has an ergonomically designed grip with a touch of rubber for a comfortable and easy hold. 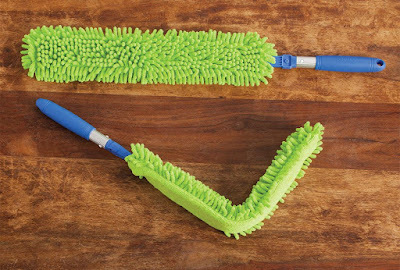 The brush head is designed for use on both sides of the brush so you don’t need to flip it to complete your cleaning task. After rinsing, store the Toilet Brush in its caddy, where it air dries quickly just above the caddy’s base. • Made of TPR—ThermoPlastic Rubber is more durable and flexible, and it won’t wear out as quickly over time as standard nylon materials. • Rubber bristles are spaced far enough apart to allow for quick rinsing and drying, yet close enough together to clean thoroughly. • Won’t rust or scratch porcelain. • Ventilation space between stored brush and the holder helps prevent accumulation of mold and mildew. • Contoured grip handle is designed to help your reach. • Special extension is designed to make cleaning under the rim quick and easy. • Angled design makes cleaning easier. • No metal to rust. TIP: Flush your toilet daily, whether it is being used or not. Allowing the water to sit in the bowl can cause mildew and hard-water stains. Cut off the top cap of the Sanira solution. the hole in it on top, and place the brush into the container with the hole in it. into the toilet. The benefit is less cleaner is needed and if it isn’t diluted none of it is wasted. Clean the sides of the bowl first so the solution can work undiluted. Clean toilet, rinse brush off with clean water, and place back into the container. Using only 3-4 ml once a week, the solution will last approximately 1 year. 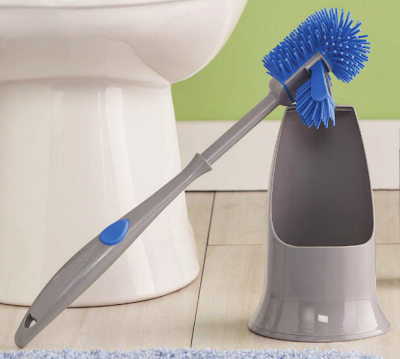 What are some of the special benefits of the Sanira Toilet Brush System? Will the Sanira Toilet Brush System remove rust stains? I gave up conventional antiperspirant/deodorant years ago. After I was diagnosed with melanoma, I became very careful about what products and ingredients I used on my skin, and every antiperspirant/deodorant I've encountered contains some of the ingredients I avoid. I began using crystal deodorant instead, and have been happy with it for years, even in the southern humidity! The great part is, one stone will last YEARS. It is breakable, so be sure not to drop it - if you do though, the smaller pieces are great for travel. The Norwex Crystal Deodorant Stone is made from crystallized natural mineral salts which kill odor causing bacteria. It contains no harmful chemicals, oils, perfumes or emulsifiers. The ammonium alum in this product cannot penetrate the skin, and therefore, does not enter the body or clog the pores. Your body is allowed to perspire naturally, yet the salt inhibits the growth of bacteria, therefore preventing body odor. 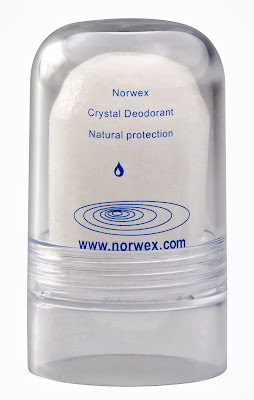 TIP: The Norwex Crystal Deodorant is GREAT on mosquito bites! To use, just moisten top of stone and use on underarms. Rinse under water. Before replacing lid, wipe dry to prevent deodorant eroding at the base. I have the best luck using it immediately after a shower. It will not get rid of existing odor, but it will prevent odor by inhibiting the growth of bacteria - so ideally the application immediately after a shower should take care of the underarm body odor. TIP: Great for razor burn, too! What is the Crystal Deodorant made of? Why does my Crystal Deodorant have a smell? Did you know food packaging alone accounts for nearly 32% of all household waste in the U.S.? According to the U.S. Department of Education, about 20 million students bring their lunch to school each day. Multiply 20 million packed lunches a day, by five days and you get 100 million a week! 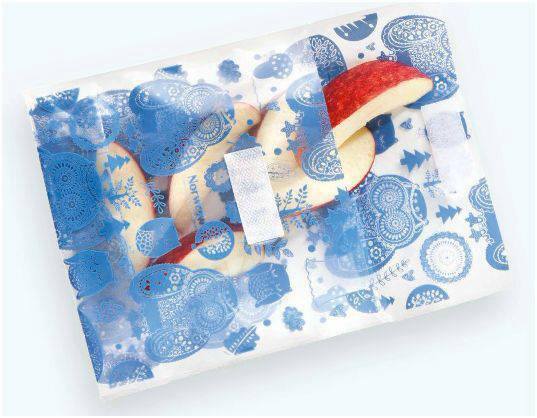 If each lunch has 3 plastic baggies, that’s 300 million plastic baggies potentially in the garbage. The effect of all this plastic in our landfills and waterways is devastating. It is one of my goals for my kids to have waste-free lunches. Every once in a while something "easy" lands in their lunch boxes (like a frozen tube of yogurt), but mostly, we are waste-free. Our lunch boxes and bags really help with this initiative, and Norwex has just made it even easier! Problem: Disposable “one time use” plastic wraps and bags may contain harmful chemicals like BPA, DEHA and other plasticizers, and they increase the amount of trash that ends up in our landfills and oceans every year. 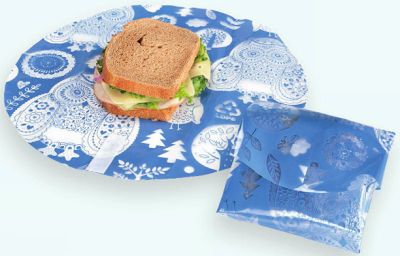 Solution: The Norwex Out to Lunch Sandwich Wrap and Out to Lunch Snack Bag are both reusable, which can mean less trash in our landfills. Also, because they are made from recycled LDPE #4 plastic, and certified free from BPA, DEHA, phthalates, PVC and lead, it helps radically reduce chemicals not only in your body and in your kids’ bodies, but in the environment as well. Both the Out to Lunch Sandwich Wrap and Out to Lunch Snack Bag are tested by CPSIA-accredited testing laboratory to meet FDA requirements and CPSIA standards. The manufacturer also uses an independent lab to test products to ensure consistent and non-toxic quality. Reusable—reduce waste by eliminating disposable food packaging from our landfills and oceans. Save money by reducing single-use packaging and packaged foods. Eat healthier by packing homemade, non-packaged foods—and by keeping your food on a mat, and off a potentially germ-laden table. Store food more safely by packing it in non-leaching, non-toxic containers. Promote sustainability by giving gifts that send the message of reuse. Manufactured to meet all FDA requirements to be in contact with food. Fun design appeals to all ages and serves as an environmentally friendly conversation starter. Great for every day use at school or the office, to take on picnics, or bring with you in the car for on-the-go lunch and snacks. Clean up is easy. Just shake the crumbs off into the trash, wipe with a damp cloth and air dry. Great for kids’ art projects—protect surfaces from messy spills. NOTE: Not intended for hot foods. Should not be heated or microwaved. Use to store leftovers in the refrigerator. Great for every day use at school or the office, to take on picnics, or bring with you in the car for on-the-go lunch and snacks. The Snack Bag is also perfect for stashing away makeup, small soaps and organizing other goodies as well. Use the Snack Bag to easily store small toys like Legos™, crayons, marbles and toy cars. Make your own sewing or first-aid kit. Tuck items like bandages, cotton balls and cotton swabs in one Snack Bag and a packet of needles, thread, tape measure and a pincushion in another. These amazing specials are only good during the month of October! Contact me today to take advantage of these deals. I have a special offer for the first four demonstrations booked with me during October. Online or in-person, it doesn't matter - you'll get product in your hand immediately! Email me to secure your date. Although they may make your clothes feel soft and smell fresh, fabric softener and dryer sheets are some of the most toxic products around. There are usually warnings on fabric softener and dryer sheets not to use them on children's sleepwear. According to this article published on CBS, a small study suggests scented laundry items contain carcinogens that waft through vents, potentially raising cancer risk. PubMed.gov has many peer-reviewed articles based on studies conducted to determine toxicity of fabric softeners, such as this one: http://www.ncbi.nlm.nih.gov/pubmed/10872633 that found "that some commercial fabric softeners emit mixtures of chemicals that can cause SI (sensory irritation), PI (pulmonary irritation), and reduce midexpiratory airflow velocity in normal mice. The results provide a toxicological basis to explain some of the human complaints of adverse reactions to fabric softener emissions." Chloroform: This substance was used as an anesthesia in the 1800s up through the early 1900s when its potential for causing fatal cardiac arrhythmia was discovered. A carcinogenic neurotoxin, it is on the EPA's Hazardous Waste list. Inhaling its vapors may cause loss of consciousness, nausea, headache, vomiting, and/or dizziness, drowsiness. It may aggravate disorders of the heart, kidneys or liver. Its effects worsen when subjected to heat. A-Terpineol: Causes Central Nervous System (CNS) disorders, meaning problems relating to the brain and spine such as Alzheimer's disease, ADD, dementia, Multiple Sclerosis, Parkinson's disease, seizures, strokes, and Sudden Infant Death Syndrome. Early symptoms of CNS problems include aphasia, blurred vision, disorientation, dizziness, headaches, hunger, memory loss, numbness in face, pain in neck and spine. A-Terpineol also irritates the mucous membranes and, if aspirated into the lungs, can cause respiratory depression, pneumonia or fatal edema. Benzyl Alcohol: This upper respiratory tract irritant can cause central nervous system (CNS) disorders, headache, nausea, vomiting, dizziness and dramatic drops in blood pressure. Benzyl Acetate: This substances has been linked to pancreatic cancer. Its vapors can be irritating to eyes and respiratory passages and it can also be absorbed through the skin. Ethanol: Another fabric softener ingredient which is on the EPA's Hazardous Waste list and linked to CNS disorders. Ethyl Acetate: This substance, which is on the EPA's Hazardous Waste list, can be irritating to the eyes and respiratory tract. It may also cause severe headaches and loss of consciousness, as well as damage to the liver and kidneys. Camphor: Another substance on the EPA's Hazardous Waste list. It is easily absorbed through body tissue, causing irritation of eyes, nose and throat. Camphor can also cause dizziness, confusion, nausea, twitching muscles and convulsions. Linalool: A narcotic known to cause respiratory problems and CNS disorders. In animal testing, exposure to linalool has resulted in death. Phthalates: Used in scented products to help the scent last longer, phthlates have been linked to breast cancer and reproductive system problems. Limonene: This known carcinogen can cause irritation to eyes and skin. Also, if you follow a vegan lifestyle, you should be aware that many fabric softener sheets are made using tallow, a form of animal fat. Manufacturers are aware that the products contain toxic chemicals. The packaging on many brands include a warning that the product should not be used on children's sleepwear. Since some of the same brands also have large images of children and toys, however, consumers may miss the small print message. Note: This post is in reference to a 2013 Facebook event. 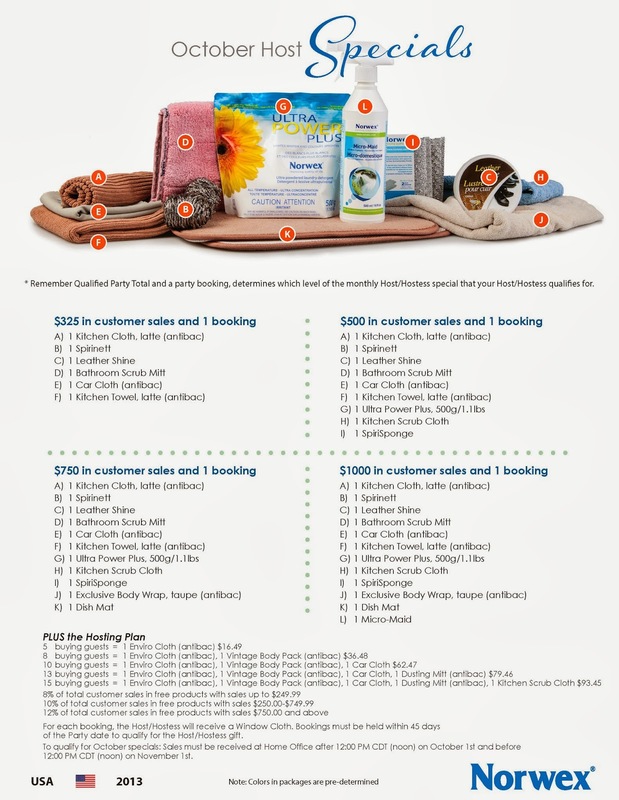 I'm donating 100% of my (35%) commission of orders placed through this group order to buying Norwex Enviro Cloths for local classrooms. I need teacher referrals who are willing to use the cloths in their classroom, and work with me on proper use of Norwex microfiber, so if you know of someone, please let me know! One person who places an order through this group order, will receive ALL of the host benefits. See below for details! I'll give away at least one (maybe more!) door prizes for participation in this event. Invite your friends, RSVP *YES* and stay tuned for how to earn entries for the door prize! 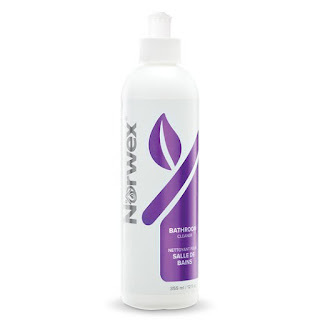 Start using Norwex, and reduce the use of chemicals in your personal care and cleaning! The Norwex mission is to radically reduce the use of chemicals in your personal care and cleaning. 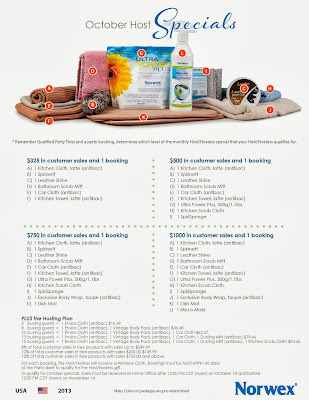 Norwex has AWESOME products that will allow you to clean FASTER, HEALTHIER and FOR LESS MONEY! No more breathing or using toxic chemicals! You can view my blog for my thoughts on some of my favorite products - http://www.fastgreenclean.com/ - I give my honest opinion and think it is a helpful resource! I'll be donating 100% of my commission (35%) on group sales through this party in Norwex products to local teachers. If you know of a local teacher who is interested in introducing some FREE Norwex products to his or her classroom please let me know. I've already donated to my daughter's classroom, so anything from this group order will go elsewhere. The more orders, the more product I can donate, and the more classrooms and students will benefit from reduced exposure to chemicals. If you'd like to purchase items for donation, please let me know. I'm sure there are many teachers who would appreciate it! There will also be giveaways just for participating online through this Facebook event! You don't even have to leave your house, just read the posts, ask questions, win prizes and place your order! Between now and the 30th, I will post product information, before and after pics, testimonials and videos. It will be fun and interactive with a lot of chances to win prizes! Login to the Facebook Event on Monday, September 30th at 8:45 pm for an interactive discussion that will last about 30 minutes. If you can't make it online during that time, no worries - there's other opportunities to earn door prizes and ask questions as you learn more about Norwex between now and the 30th. 1. RSVP to the event! Facebook has recently made changes to events. Only those who RSVP are able to see the event posts! The first 25 to RSVP *YES* will be entered into a drawing to win a prize! 2. Go to <LINK DISCONTINUED SINCE EVENT ENDED> to shop for products by MONDAY, SEPTEMBER 30th, and have it count towards this group order (be sure it says I am the host at checkout). Your product will immediately be shipped directly to you! Browse online at the link above, and submit your order directly to me. Orders submitted directly to me will be shipped at the group shipping rate to my house, and I will be able to distribute them locally after the products are delivered. 4. Start using your new Norwex products and then rave all about them! Rather than focusing on the multitude of reasons why we shouldn't be so quick to use alcohol based hand sanitizers, I'm going to focus on a new product from Norwex, and hope you will take the time to research a bit on the downfall of using traditional alcohol-based hand sanitizer, the ingredients, the suggested use, and consider the Norwex alternative! PROBLEM : Hand cleaners sting and usually contain undesirable ingredients like triclosan and alcohol. SOLUTION : Non-alcoholic, triclosan-free, organic Timeless Natural Hand Cleaner. Non-irritating and non-toxic, it cleanses hands without water and leaves them feeling moisturized and smooth. Oil extract help soothe, hydrate, nourish and protect the skin. The travel-sized tube makes it suitable for flying and storing in purse, desk drawer, diaper bag or child’s backpack. 99.89% of the total ingredients are from natural origin. 95.36% of the vegetal ingredients are from organic farming. Organic ingredients like Aloe, Lemon Fruit extract, Rosemary and Lavender quickly absorb into the skin. Completely free of alcohol, triclosan, benzalkonium chloride (BAC), parabens, petroleum solvents, sulfates, artificial colors/ dyes. Cleans without water. No rinsing required. Highly concentrated, just a drop is all you need. Product breaks down easily and quickly in the environment. Easy to use and you can take it anywhere, including airplanes. Safe for every generation, kids and adults. Manufacturing standards ensure that ingredients are compatible with our bodies and with the natural world. Manufacturing processes ensure environmental sustainability. Keep a bottle on hand in your purse or diaper bag for those times when there is no other way to wash your hands, or when there are no paper towels in the public restroom. Norwex Timeless Natural Hand Cleaner is not an antibacterial, which means it kills bacteria. It is antiseptic, which means it inhibits the growth and reproduction of micro organisms. It contains organic lemon, rosemary, and lavender extracts which have natural antiseptic/astringent qualities. Using the Norwex Timeless Natural Hand Cleaner is like washing your hands with soap and water - except it is quick and easy, and you don't need water. We recommend rubbing hands together for 30 seconds to provide the friction that also helps loosen dirt and clean hands. fits onto the end of our Telescopic Mop Handle to clean high window ledges, entertainment centers, ceiling corners and other hard-to-reach areas. Works with the Telescopic Mop Handle to comfortably clean hard-to-reach areas. 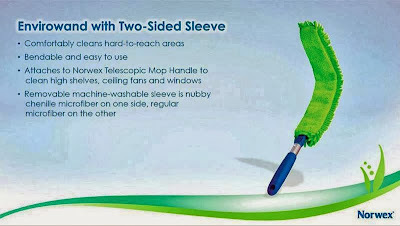 Removable sleeve for easy washing. Bendable and easy to use. Sleeve is made of 80/20 polyester/polyamide microfiber offering the same cleaning benefits, cost benefits and environmental benefits as other Norwex Microfiber products. Now you can clean those spots you were hoping no one would notice! Comes with a 2-year warranty! Size: 7.5cm x 67cm / 3" x 26.4"
Did you know that the average American family uses between 1.5 and 2 rolls of paper towels each week? Did you know that 13 billion pounds of paper towels are used in the U.S. every year? If all Americans used one less paper towel a day, 571,230,000 pounds of paper would be spared over the course of the year. The Norwex Kitchen Towels are a great replacement for paper towels. Use dry to soak up spills; use wet to clean up messes on counters, tables, stove top, refrigerator. 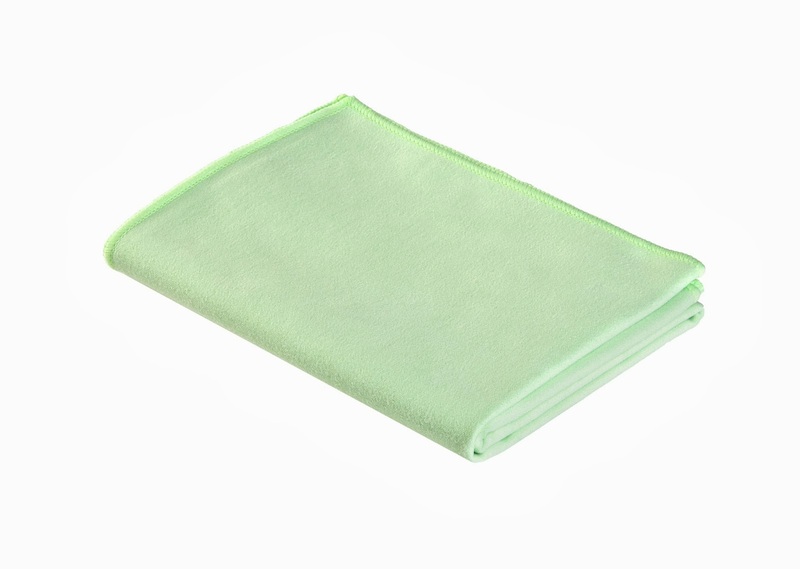 The antibacterial Norwex Kitchen Towel is absorbent and dries quickly. 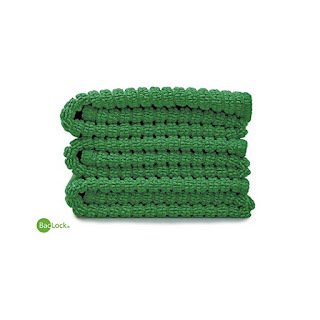 It is super soft, absorbent, and excellent for drying dishes. Kitchens can be messy places! These extra-absorbent micro ber cloths and towels will help you grab, trap and eliminate kitchen messes using only water. Our colorful Kitchen Cloths and Towels e ectively dry dishes, wipe and clean your sink and dirty countertops, and so much more. And they're great on all types of hard surfaces, including stainless steel, enamel, ceramic, glass, chrome, granite, marble, wood, tile and china. Contains our powerful BacLock® antibacterial agent. On-trend colors complement every décor! P R O B L E M : Abrasive cleaning solutions leave a film of broken-down dirt, grime and chemicals dried on your countertops once the water evaporates. Most towels and cloths just push the dirt around and become soggy quickly. S O L U T I O N : Norwex Microfiber Kitchen Cloths and Towels completely dry surfaces and thoroughly clean kitchen countertops with only water. Cloth: 35 cm x 26 cm / 13.78" x 10.24"
Towel: 65 cm x 35 cm / 25.59" x 13.78"
• Norwex Microfiber uses a combination of static electricity and capillary action to pull dirt and grease up into the bers and away from the surface. • BacLock*, the micro silver agent in the cloth, goes to work with self- purification properties against mold, fungi and bacterial odor within 24 hours so that it is ready to use again. 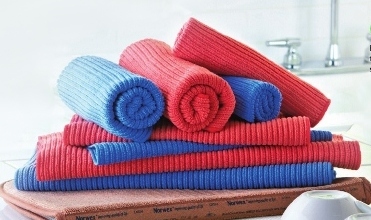 • Lint-free, so these towels and cloths help provide a friendlier environment for allergy-sensitive individuals. • Cloths and towels that have been used heavily should be laundered using a Norwex laundry detergent, which contains no fillers, after each use. Talk about powerful! 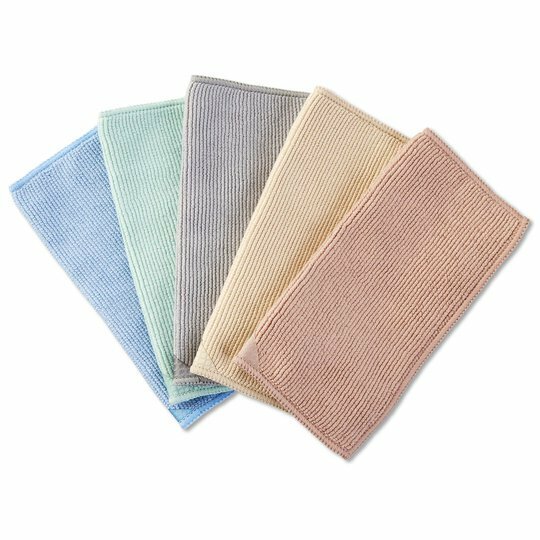 Able to absorb several times their own weight in water, our Norwex Microfiber Cloths and Towels are lint-free and great for cleaning and drying a variety of surfaces: stainless steel, enamel, ceramic, glass, chrome, granite, marble, slate, quartz, tile, wood and china. 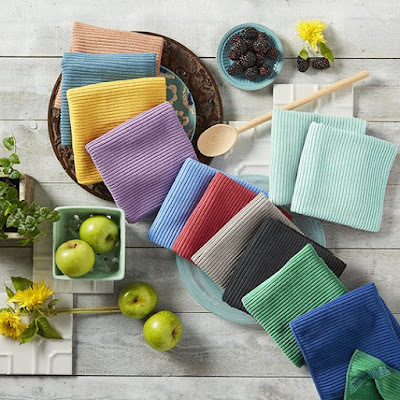 These highly durable, environmentally friendly, microfiber kitchen towels and cloths are super-absorbent, quick-drying, non-abrasive and safe on most kitchen surfaces. Scratch-free and lint-free, they won’t harm delicate surfaces like crystal and are excellent for drying dishes. Use them damp to clean grease, grime, smudges and more. The antibacterial agent inhibits bacterial odor, mold and mildew growth within the product. This means cleaner cloths, less frequent laundering and reduction in cross-contamination. Use them dry to absorb moisture or attract dust and dirt like a magnet and trap it inside. They’re perfect for a variety of surface jobs. • Many products incorporate silver because of its antibacterial properties. There are silver antibacterial socks, silver soap, silver-lined curtains in hospitals, silver-lined bandages for treating burns, even silver toothbrushes. Our highly concentrated formula safely cleans toilets, basins and most other hard bathroom surfaces without strong fumes...leaving them sparkling clean with minimal effort. The gel's deep penetration allows for effective cleaning and descaling in one application. Phosphate-free and contains biodegradable ingredients. *Not for use on natural stone surfaces. As always, feel free to contact me with questions regarding any Norwex product. 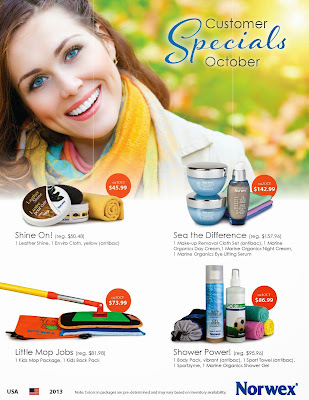 You can shop online by clicking Shop Online above, or directly from my website at http://rebeccalange.norwex.biz. If you'd like to receive my newsletter with Norwex specials, please fill out the contact form here http://rebeccalange.norwex.biz/en_US/customer/subscribe-to-consultant-specials. If you would like to schedule a party, discuss career opportunities at Norwex, or have any questions about our products, I invite you to send me a message here http://rebeccalange.norwex.biz/en_US/customer/about-mehttp://www.norwex.biz/pws/rebeccalange/tabs/contact.aspx! Why Silver? Why Norwex Microfiber?